Putting Edge provides a new and exciting twist on a typical outing. 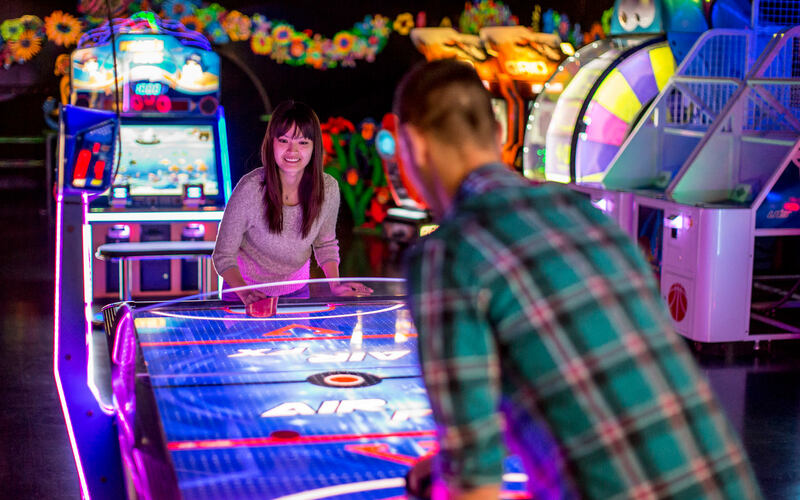 From the moment you enter one of our “Blacklit” facilities, you have left “the real world” and have entered a universe full of fun, imagination, and activity. 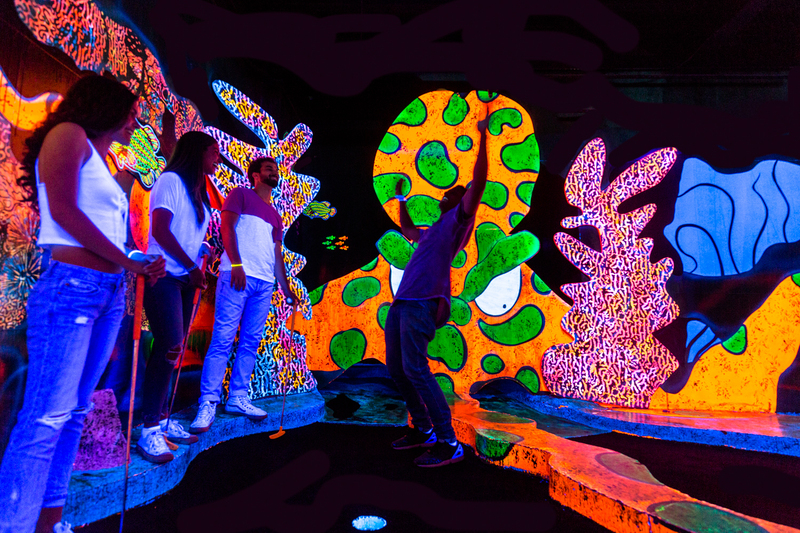 You will be immersed in a kaleidoscope of dazzling “Glow-in-the-Dark” colors, images and sounds, rocking your senses in unordinary, inevitable ways. 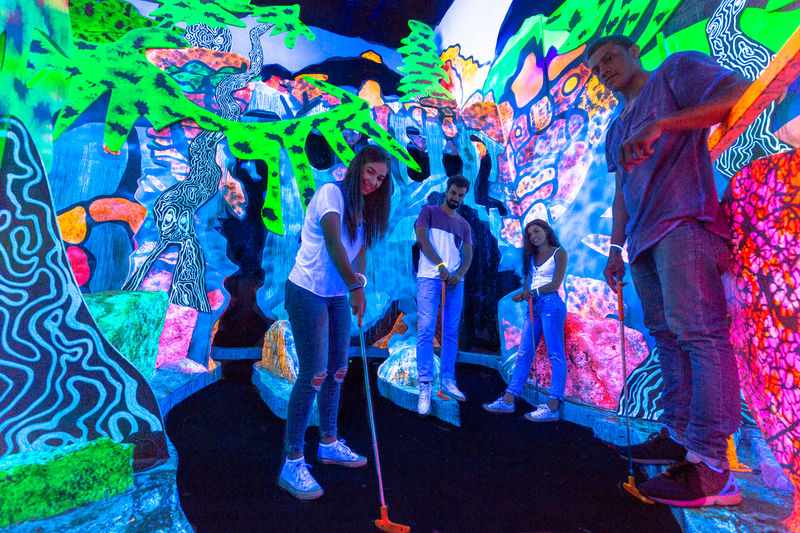 Our multi-level 13,000 square foot facility is made up of a massive glow in the dark mini golf course, a state of the art illuminated arcade, private and semi-private event rooms, and a lounging area. We are located in the Norridge Commons – across the road from the HIP – and offer plenty of room for free parking at the location. 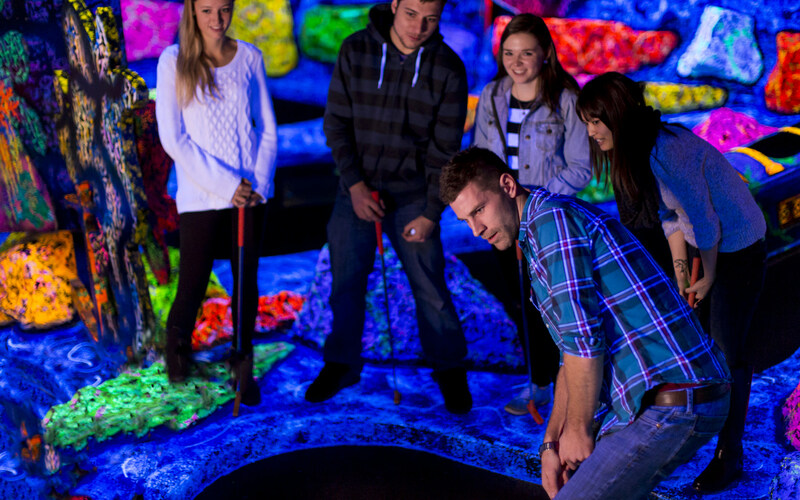 Make your next event unforgettable at the Putting Edge!